Well, here we are in the 21st century…with a brand new website and a blog! How about that? We’re really looking forward to getting our blog up and running and getting lots of interesting content on here for people to read and watch. So if you’re a budding writer or want to try your hand at vlogging, we need you! We are looking for submissions on mental health-related topics, and we particularly welcome blogs from visitors/callers to LSLCS services (past and present) survivors, carers, and mental health service users, as well as students/professionals working in mental health and allied professions. We are looking for written blog submissions of between 500-800 words on mental health-related topics and video blogs of up to 5 mins. We welcome video blog submissions in BSL as we have a growing community of Deaf people who use our services and we are keen to make our blog as accessible and diverse as possible. Got an idea? Run it past us! 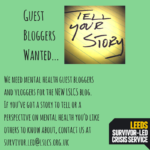 First, email survivor.led@lslcs.org.uk about your idea and we can have a look at it and determine if it will be suitable for our blog and if it is a first-time submission we will send you our blogging/vlogging guidelines which you will need to adhere to when you write/record your piece. If it’s a time sensitive story, please put “Time Sensitive” in the subject line and we will try to get back to you within 24 hours to confirm if we would like to see the full piece. When you have written/recorded your piece, please send it to us and we will look at it. All pieces will be looked at/checked for suitability by our blog editor – if time sensitive, we will try and do this within 24 hours. 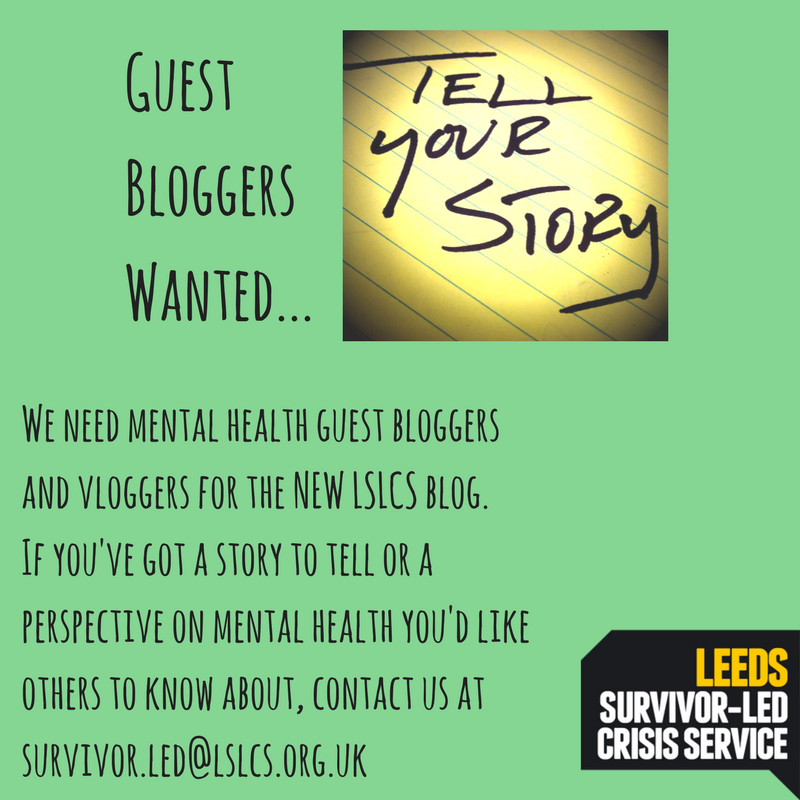 Drop an email to survivor.led@lslcs.org.uk if you have any queries about blog/vlog submissions or to receive a copy of our blogging/vlogging guidelines. We look forward to seeing your submissions and finished pieces. Happy blogging and vlogging!